The Scatter Here Is Too Great heralds a major new voice from Pakistan with a stunning debut—a novel told in a rich variety of distinctive voices that converge at a single horrific event: a bomb blast at a station in the heart of the city. Comrade Sukhansaz, an old communist poet, is harassed on a bus full of college students minutes before the blast. His son, a wealthy middle aged businessman, yearns for his own estranged child. A young man, Sadeq, has a dead-end job snatching cars from people who have defaulted on their bank loans, while his girlfriend spins tales for her young brother to conceal her own heartbreak. An ambulance driver picking up the bodies after the blast has a shocking encounter with two strange-looking men whom nobody else seems to notice. And in the midst of it all, a solitary writer, tormented with grief for his dead father and his decimated city, struggles to find words. In a style that’s at once inventive and deeply moving, Tanweer reveals the pain, loneliness, and longing of these characters and celebrates the power of the written word to heal individuals and communities plagued by violence. 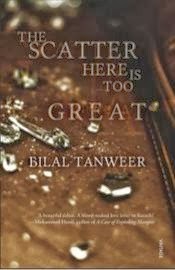 Elegantly weaving together a striking portrait of a city and its people, The Scatter Here Is Too Great is a love story written to Karachi—as vibrant and varied in its characters, passions, and idiosyncrasies as the city itself. Bilal Tanweer, recipient of numerous grants and fellowships, including a Fulbright Scholarship for an MFA in creative writing at Columbia University, has been published by Granta magazine’s New Voices, the UK-based Critical Muslim (edited by Ziauddin Sardar) and the Life’s Too Short Literary Review (Hachette, India). He is also the recipient of a PEN scholarship and has translated Ibn-e-Safi’s House of Fear for Random House India. A book that left me speechless after a long time! I have looked forward to Random House’s recommendations for they manage to come out with some brilliant names and this one stole my heart! To say I enjoyed reading this one would be less for I lived this book through and through till the last page. I cried, laughed, got scared and sighed with the main characters as the author held my hand firmly and took me on a trip down the story along with him. Not for one moment did I feel that I am reading a book it all felt as if it was a movie in which I was playing a part or it was a dream which I was living at that moment. His narrative is so strong it is bound to grab your attention within the first few words itself and make you hold the book till you have finished and maybe long after that. I loved the story that the author presented here and yes in those few pages he transcended me to a different world altogether which was nothing but a fragment of his imagination. Strong story line with wonderful narration is how this story can be described – do read it, only if you enjoy reading such heart touching tales which are actually a slice of life moments made come alive for you to witness them just one more time. A marvellous piece of writing, Bilal Tanweer has done a very good job. The City is used as an Extended-Metaphor, as a character and as a Protagonist. He emphasizes that certain things are more beautiful and valuable after they are broken. The city is used as an extended metaphor that can be taken as home, space and a place where we dwell and its relationship with the environment. Explosions, violence and bomb blasts that are destroying the city and make the life intolerable. Home as a place, as a space and as an identity are strongly interconnected. The City, where we live, it becomes our identity and we cannot alienate from it. The motif of home that however distorted it is due to explosions, violence and bomb blasts, it is a home to live as we have an intimate relationship with it. It is distorted, yet people search for its beauty and get pleasure from it. Psychological revival is important for survival. The city as a character and as a protagonist sees the incidents happening around it yet it is providing the aesthetic pleasure to its dwellers. There is an optimistic approach of hope in the novel that the long dark shadows and the clouds of darkness over the city will be scattered away very soon if we struggle for the hope to survive, as after every darkness there is light, that will again enlighten the city. I am speechless after reading your comment. How beautifully you have managed to capture the exact essence of such a wonderful book!! 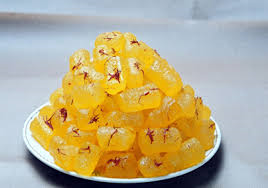 I agree to each and every word you have mentioned. I loved reading the book out and out.